Great library shelving can make a huge difference. It’s the most essential and integral furniture in the building, and the cornerstone of any positive (or negative) visitor experience. Given the rapidly changing nature of libraries, the introduction of computers and audio-visual equipment and sheer variety of book shapes and sizes, it’s important that library shelving is able to accommodate both current and future needs. Wiredex library shelving is specially designed to meet the varying and exacting demands of new libraries by being more versatile, adjustable and ergonomic than standard alternatives. Our flexible machining capabilities mean we can create customised library shelving solutions according to your exact needs. In other words, we adapt our systems to make them work for you, meaning you can enjoy a complete overhaul without disruption of normal business. Wiredex library shelves are designed and manufactured around a few fundamental principles. Modular and fully adjustable at any point, our library shelving is guaranteed to handle any and all books, audio-visual devices and materials or equipment that will ever rest on them. Our flexi-design allows for easy setting up of special display points for recommended literature, specials, sales and anything else you want to make stand out. The same system can be adapted for both children’s and adult books, while magazines, e-readers, videos, cassettes, DVDs and any other library products, past or future, can easily find a home on Wiredex shelves. Whether your layout calls for aisles, reading nooks or supremely efficient use of floor space, our library shelves can adapt to it. 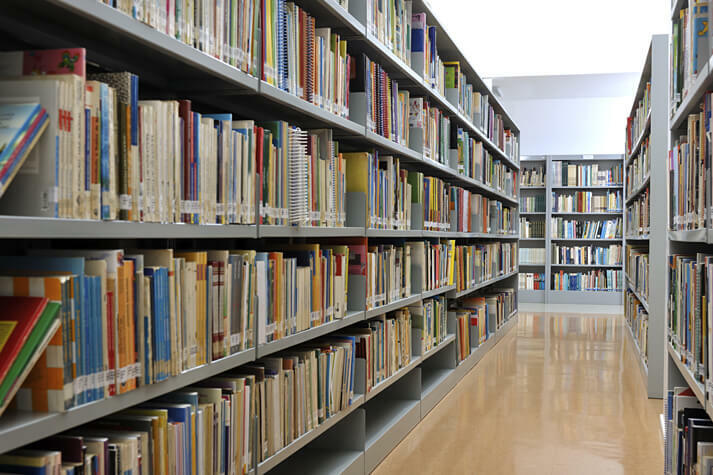 Light weight, lockable easy-roll castors and a fully modular construction ensure that anyone is able to easily move these library shelves when needed, while also letting them lock firmly in place in order to withstand all usual environmental rigours. Best of all, Wiredex library shelves require absolutely no nuts, bolts, tools or special training to assemble. They simply clip together as desired. Our solutions will always offer the highest levels of simplicity and convenience without sacrificing quality or utility. Wiredex products incorporate 100% Australian steel, fabricated, galvanised and powder coated to perfection. This lends them a significantly longer lifespan than other shelving systems and grants a much greater deal of flexibility in more environments. Because we do all the manufacturing and protective coat application ourselves, we can offer only the features you need in order to cut back on unnecessary expenditure. It also means that instead of having a selection of available colours, we have them all. If you’re looking to brighten up a children’s section or match existing furnishings, we can make it happen while simultaneously providing a scratch-proof, anti-rust, corrosion-resistant surface. The Wiredex advantage brings an extra-wide range of high quality finishes, superior functionality and customised solutions to library shelving. And because we do it all ourselves instead of going through a supplier, we can offer the world’s most advanced systems at competitive industry prices. Whatever you need, we can exceed your expectations at no extra cost. Contact us to get top quality, customised library shelving delivered to anywhere in Australia.